This soap is a natural remedy to control melanin, thus making the skin glow with fairness. 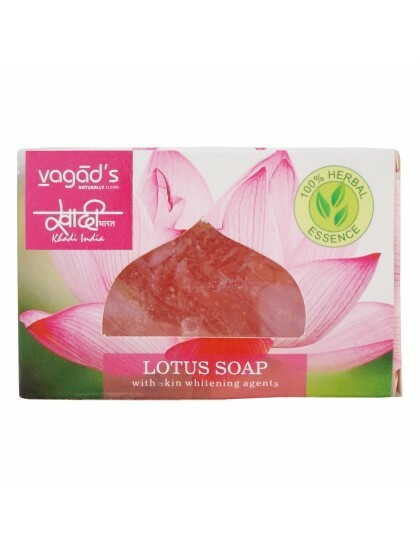 Regular use of lotus soap makes skin visibly whiter and effectively works to removes skin blemishes. 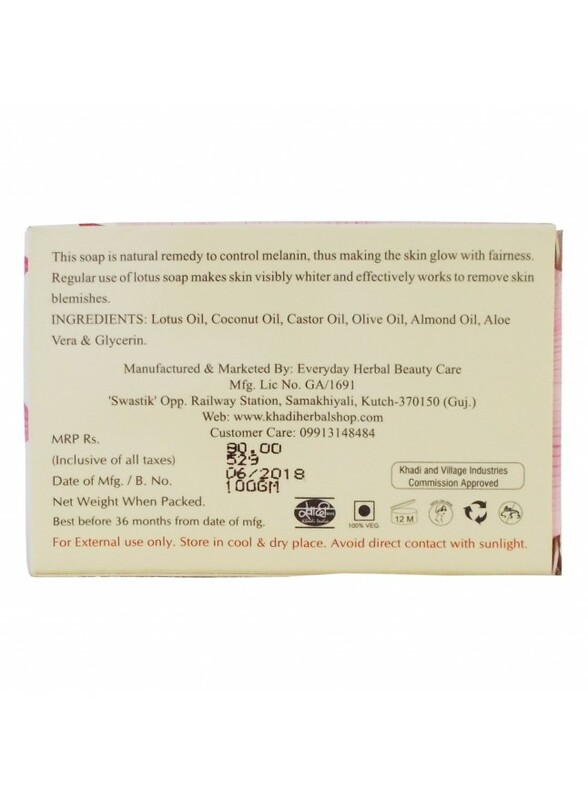 Ingredients: Lotus oil, Coconut oil, Castor oil, Olive oil, Almond oil, Aloe vera & Glycerin.